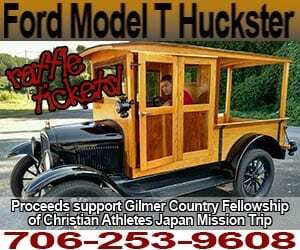 The Gilmer County chapter of the Fellowship of Christian Athletes is selling tickets for a chance to win a restored 1927 Ford Model T Huckster truck. The proceeds collected from the raffle will be used to cover the cost of a mission trip to Japan next summer. 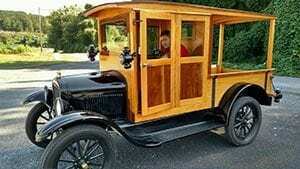 FCA Area Director Reece Sanford said the vintage vehicle was donated by a local family in Blue Ridge to help send 12 to 17 coaches and athletes on the mission trip. He said 500 tickets will be sold at $100 each with the drawing scheduled Dec. 17th, during a special FCA all start football game involving seniors from Fannin, Gilmer, Pickens, Towns and Union counties. The game will be played in Blairsville. Queen said the old truck runs well and had been in a downtown Blue Ridge location for a number of years before being restored. Tickets are available from Reece Sanford at (706) 253-9608.